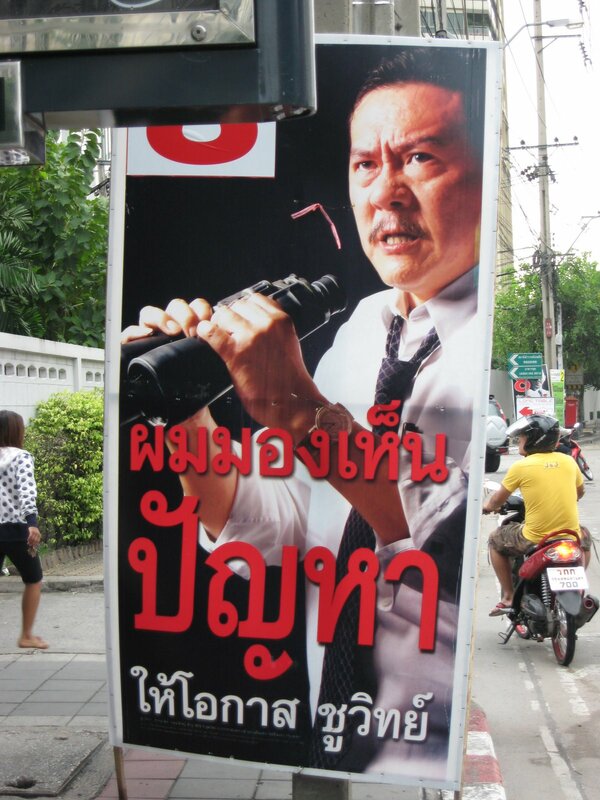 The month after he was re-elected, the governor of Bangkok resigns because of corruption charges. So much for my assumption of a smooth democracy. On the other hand, perhaps one can argue this is an example of a political system working (eh, protesters, anyone). Speaking of Election Day, alcohol cannot be sold or served, even meaning a complete shut down of the city’s red light districts. Now, DC residents, how would you have dealt with that if that happened on November 4th?? 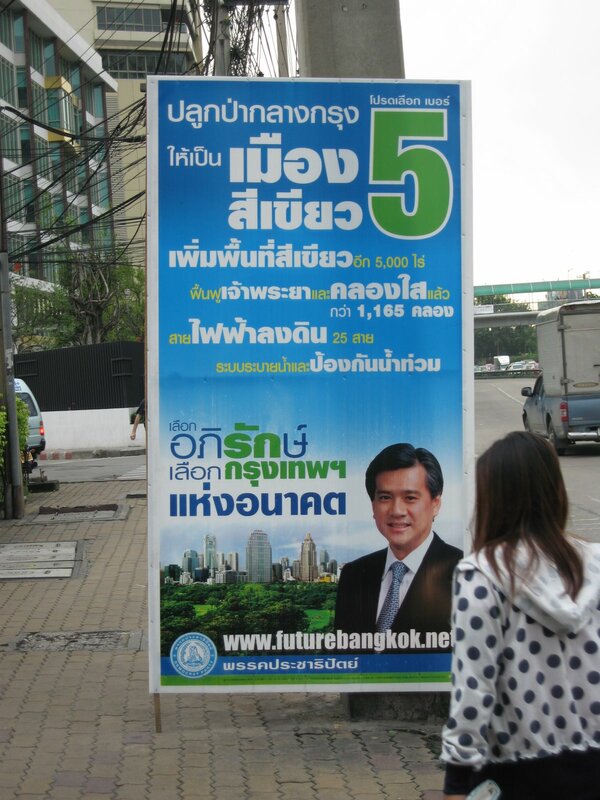 The Bangkok residents voted this past Sunday for their governor. 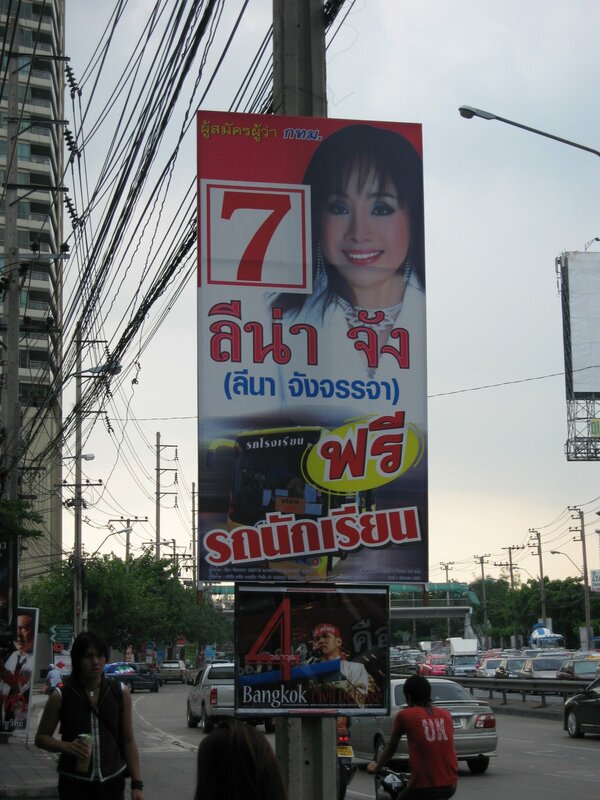 I think of it as a mayoral election since it covers just Bangkok. But all the English newspapers in the area are calling the position as “governor.” The Bangkok “province” is pretty much just the city itself. The metropolitan area has spread far beyond it’s official defined borders into neighbouring provinces. The governor of Bangkok is one of the few direct vote positions of its rank across all of Thailand. A four year term, the gubernatorial term was up for elections. The time span was quick. I think the submission of candidacy and the campaigning period all lasted within a month. The two most common modes of campaigning was the announcing trucks and the posters. 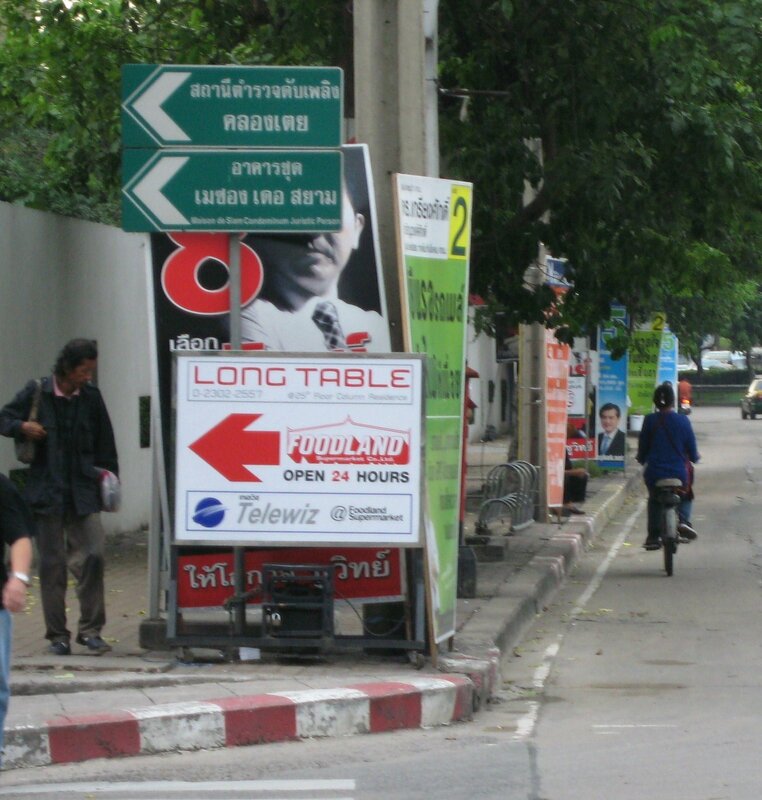 Every telephone pole, electricity pole, street lamp post had posters mounted. 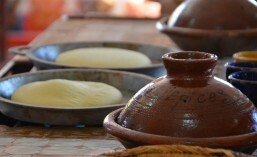 Some even set up their own stands. Apparently, the tv media has been a forum as well. As short and as seemingly routine as the elections were, I’ll bet few were this riveting. No, I’m not affected directly. It’s almost like saying same-same. In fact, I was so busy at work, I didn’t even know about this until I looked in on the evening news. I know your next questions. I don’t understand what’s going on. It’s not a matter of whether I agree or not. I just don’t get it. 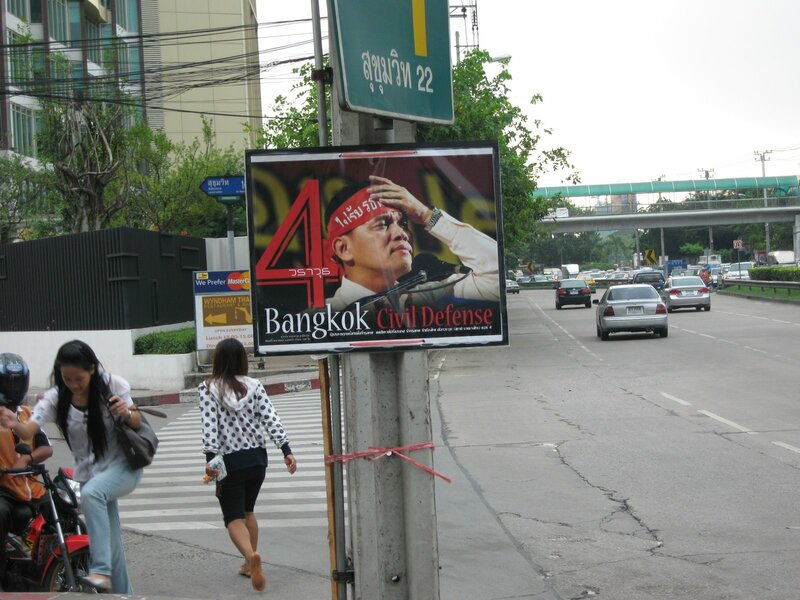 Ironically, the same time a surge of violent erupted with the PAD protests, over the weekend, the Bangkok locals conducted a very peaceful gubernatorial election, re-electing the incumbent. More on that in following post. While PAD camps out in the government complex, the mayoral elections for Bangkok are taking place, in a very open casual fanfare, as if the national government wasn’t weathering its storm. The campaigning was done mostly by trucks driving around playing recorded campaign messages on a rigged PA system. Some large posters are hung up along the sidewalks, but few of them fared through the heavy monsoons we endured lately. Last night’s sighting was a variation. 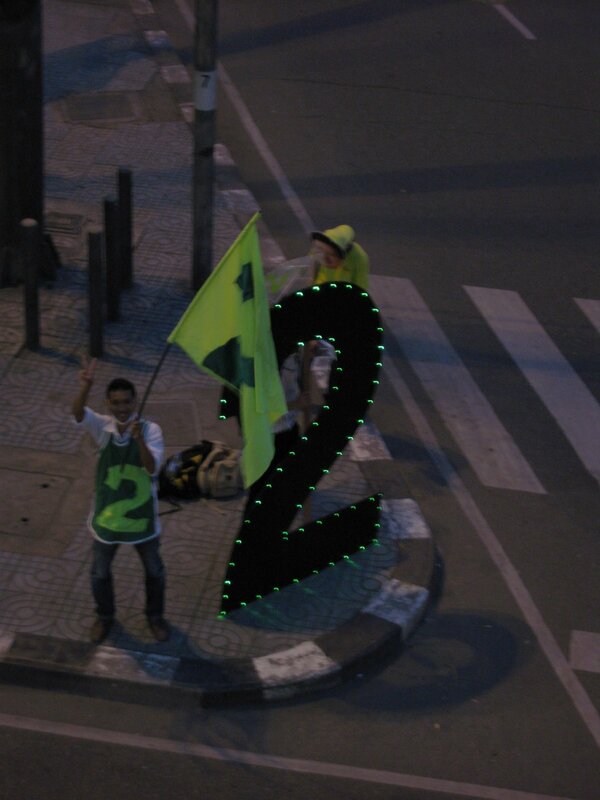 It was, I assume, the incumbent trying to argue for a second term… with the number 2 as the main clue. Apologies for the blurriness of the photo. In the night, it was hard to get anything. The man with the flag was indeed saluting me. The initial flash alerted me and he looked up to pose for the second shot. His companion was wearing a face mask of the candidate, which struck me more satirical than supportive. Or maybe I was wrong.. they maybe arguing against a second term. Who knows. I probably won’t.